Welcome to the Louth Choral Society website. Here you will find details of forthcoming concerts as well as information about the choir and how you can join us. New members are always welcome whether you are an experienced singer or are joining a choir for the first time. Singing has many benefits: it's fun, sociable, challenging and good for your health! Every year we present four or five concerts, We are delighted that these are enjoyed and we receive so many wonderful reviews. Read the latest on our Reviews Page. A successful choir with nearly a hundred active members, but we are always on the lookout for new voices. 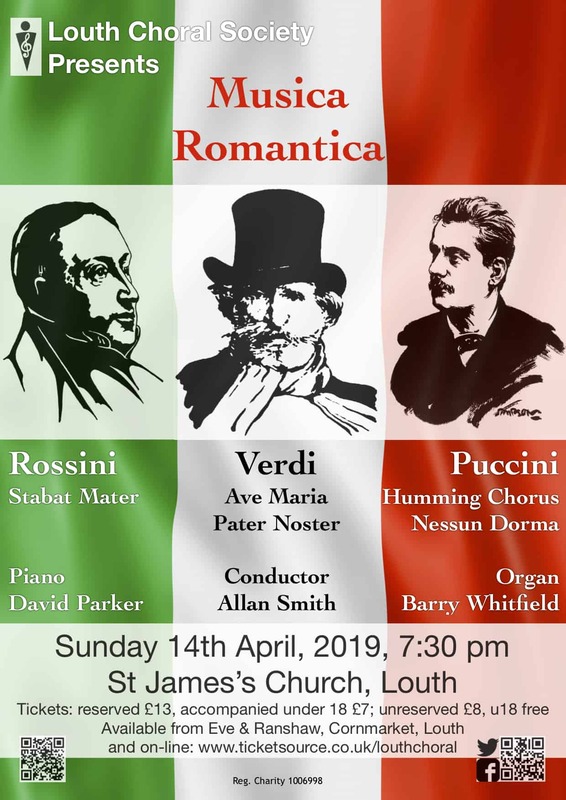 Follow the latest news from Louth's Choral Society. The latest concert to be performed, fundraising, events and soloists for the next concert. Louth Choral Society presents a wide variety of choral music from 16th century through to the present day, achieving high standards of performance. Information for members including rehearsal schedule and concert diary.